No sooner are people finishing the dishes from Thanksgiving dinner that the hottest sales and promotional events are seeming to be coming to a close. By Thursday night the 6:00 PM News is already recappig the adventures of consumers who slept outside a Target or Wal-Mart for the chance to buy an everyday item at a seemingly rare price, and the televised recap includes disturbing images of small children being trampled as the season’s best items are selling out – all while you are still stacking dishes. You may even begin to believe you have missed the best sales of the year, all because you lacked the courage to set up a North Face tent in front of a strip mall. The sense of scarcity and urgency can be overwhelming. Are you missing out? Will you spend thousands of extra dollars this Christmas because you did not want to wield a weapon to defend the 32” TV you clearly had your hands on first? Or is the aptly named “Black Friday” – named for how it puts retailers finally into the profitable black for the year (not for the devilish deeds that consumers carry out to get a good deal on that day) – and all the hype surrounding it entirely media driven? The answer is tragically the latter. Black Friday and its cousin Cyber Monday is perhaps the greatest example of media and marketer collusion of our age, where in a desperate attempt to propel companies into the black and report healthy earnings to Wall Street, marketers go to great length to deploy every tactic in the tool belt to drive sales above and beyond where budgets demand they be. Indeed, Black Friday is largely hype. According to the Wall Street Journal and Decide.com, Black Friday’s and the Christmas shopping season’s most popular items – toys, electronics, appliances and more – are all priced lower at other times of the year. The late-winter and spring months of March, April and May offer better deals than Thanksgiving weekend. But if it bleeds, it leads, and the media plays no small part in stoking the consumer fire. Over330 million news stories, videos and viral media have circulated, discussing, dissecting and otherwise pointing the camera at Black Friday. Who’s buying what? Who’s trampling whom? Are the numbers good? Are the numbers bad? It’s like the Election Day all over again, but instead of counting electoral votes we’re counting retailing sales as if our futures depended on it. So how do marketers pull off such a coup on this scale with the as their accomplice? The answer is as simple as a BOGO sale at Payless Shoe Source. Marketers go old school and use the strategies and tactics that have withstood the test of time. Retailers and online marketers mix a strong dose of media buys in multiple formats(TV, Print, Outdoor, Online, Social, and others) and carefully crafted promotions, those carefully-worded sales that create a perceived scarcity such as “limited time only!” “Friday Only!” “Buy One Get One!” “Up to 75% off!” They lure customers with loss leaders, those products sold at such a discount so as to erase the profit margin on them for the sake of bringing consumers to the store or website where they will most likely buy other, high-margin goods. And, they enroll the media through advertising-driven public relations relationships, wherein agencies and creative houses throughout the country who have strong relationships with mainstream media organizations partner together to produce stories to cover what appears to be an unbelievable avalanche of consumer deals and best buys. 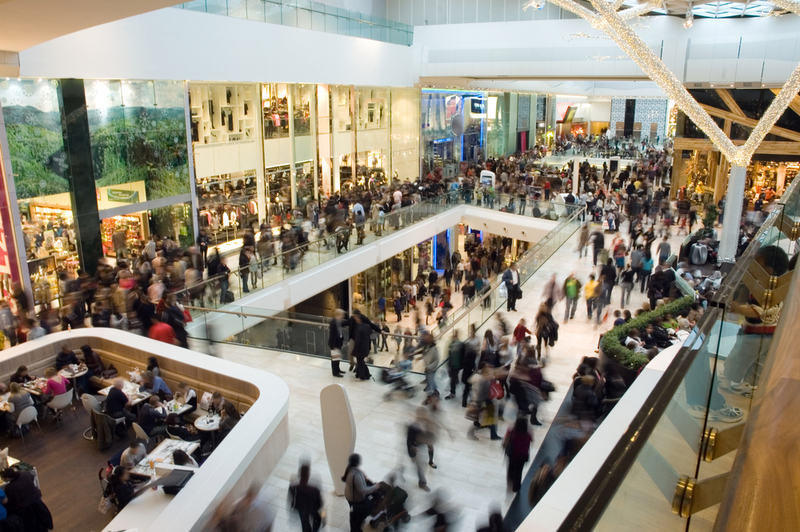 The lessons from Black Friday, Cyber Monday and all other event-driven, mega-consumer shopping seasons are that despite today’s fragmented, micro-segmented consumer population, companies still need to invest in those strategies and tactics that have endured the test of time if they are to create the groundswell of demand to match. Marketers get what they pay for, and if budgets are tight and creativity is needed to generate sales on a shoestring, often you can be successful in generating sales, but likely will fall short in creating national mainstream buzz if your product is unknown and/or requires substantial education or awareness. Black Friday holds a special place in people’s hearts not because the deals are so fantastic, but because they believe they are fantastic due to good old-fashioned sales and marketing strategies that build awareness, recall, interest and action. Or as Alec Baldwin’s infamous character Blake so famously taught, Awareness-Interest-Decision-Action is what closes business. Enjoy this clip from the famous scene! (Editor’s Note: This clip contains profanity. Viewer discretion is advised).